Sign-up to receive the latest news and ratings for QTEC and its competitors with MarketBeat's FREE daily newsletter. What is First Trust NASDAQ 100 Technology Index Fund's stock symbol? First Trust NASDAQ 100 Technology Index Fund trades on the NASDAQ under the ticker symbol "QTEC." How often does First Trust NASDAQ 100 Technology Index Fund pay dividends? What is the dividend yield for First Trust NASDAQ 100 Technology Index Fund? First Trust NASDAQ 100 Technology Index Fund declared a quarterly dividend on Wednesday, March 20th. Stockholders of record on Friday, March 22nd will be given a dividend of $0.118 per share on Friday, March 29th. This represents a $0.47 dividend on an annualized basis and a dividend yield of 0.53%. The ex-dividend date of this dividend is Thursday, March 21st. View First Trust NASDAQ 100 Technology Index Fund's Dividend History. Has First Trust NASDAQ 100 Technology Index Fund been receiving favorable news coverage? 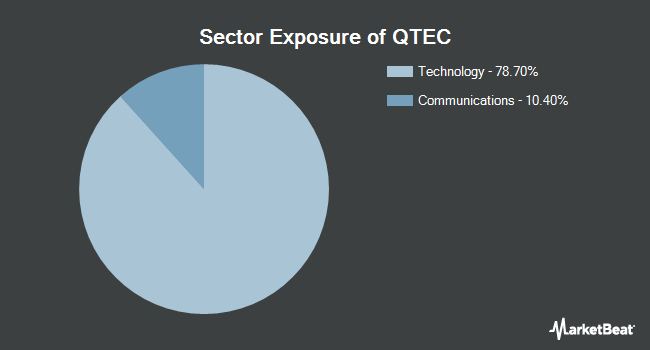 Media headlines about QTEC stock have trended negative recently, InfoTrie Sentiment reports. The research group identifies negative and positive media coverage by reviewing more than six thousand news and blog sources in real time. The firm ranks coverage of public companies on a scale of negative five to five, with scores closest to five being the most favorable. First Trust NASDAQ 100 Technology Index Fund earned a news sentiment score of -2.2 on InfoTrie's scale. They also gave news headlines about the company a news buzz of 10.0 out of 10, indicating that recent media coverage is extremely likely to have an impact on the stock's share price in the near term. What other stocks do shareholders of First Trust NASDAQ 100 Technology Index Fund own? Based on aggregate information from My MarketBeat watchlists, some companies that other First Trust NASDAQ 100 Technology Index Fund investors own include Invesco QQQ Trust (QQQ), Market Vectors Semiconductor ETF (SMH), Johnson & Johnson (JNJ), SPDR S&P 500 ETF Trust (SPY), Health Care Select Sector SPDR Fund (XLV), Kraft Heinz (KHC), Micron Technology (MU), Anthem (ANTM), Bank of America (BAC) and CONSOL Coal Resources (CCR). How do I buy shares of First Trust NASDAQ 100 Technology Index Fund? 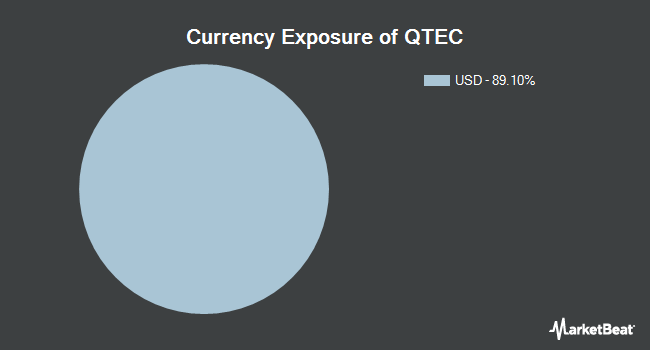 Shares of QTEC can be purchased through any online brokerage account. Popular online brokerages with access to the U.S. stock market include Vanguard Brokerage Services, TD Ameritrade, E*TRADE, Scottrade, Fidelity and Charles Schwab. What is First Trust NASDAQ 100 Technology Index Fund's stock price today? 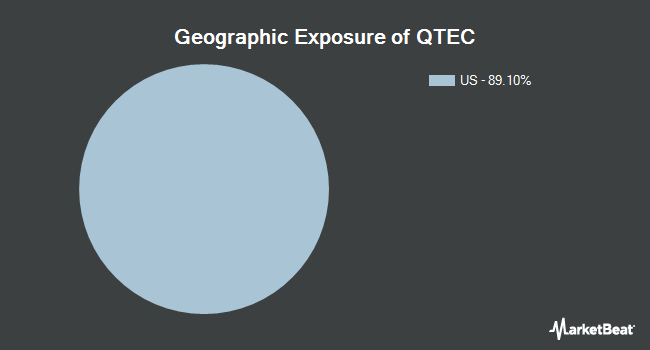 One share of QTEC stock can currently be purchased for approximately $88.97. How big of a company is First Trust NASDAQ 100 Technology Index Fund? First Trust NASDAQ 100 Technology Index Fund has a market capitalization of $2.66 billion. MarketBeat's community ratings are surveys of what our community members think about First Trust NASDAQ 100 Technology Index Fund and other stocks. 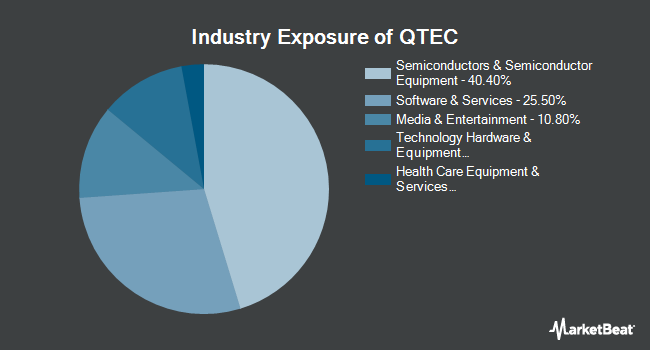 Vote "Outperform" if you believe QTEC will outperform the S&P 500 over the long term. Vote "Underperform" if you believe QTEC will underperform the S&P 500 over the long term. You may vote once every thirty days.